There are a few ways that one can add a note to an entry. 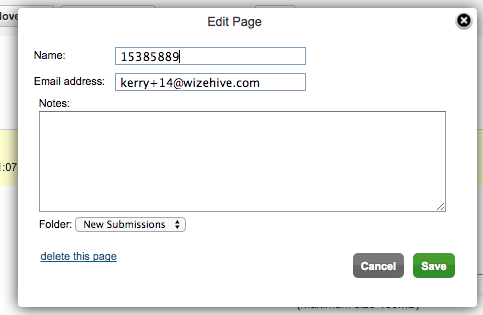 When you are on the application tab, you can select the entry to which you'd like to add a note. 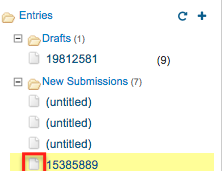 Click the paper icon next to the entry name. 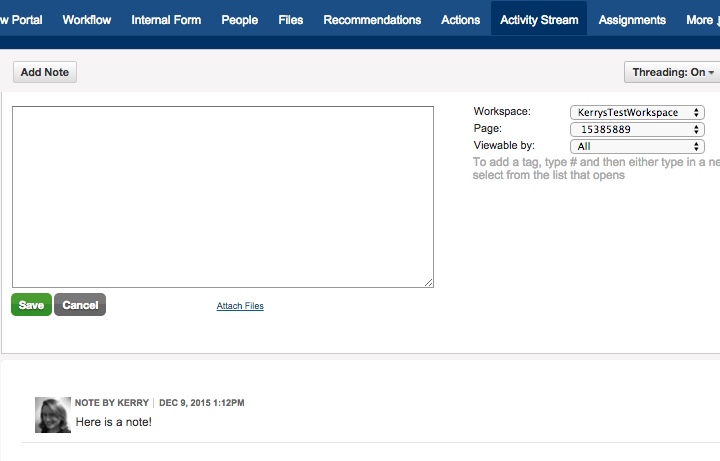 Anything you enter into the "Notes:" field will be attached as an internal note, viewable only by the other administrators of your workspace. Click Save after adding any Notes. You can return to these Notes later and edit them. You can also add a Note by going to the Activity Stream tab. Here, you will see a green button at the top that says Add Note. While through the Data Tab you could only add text, here you can see that you can attach files, and can also change who can see your note by using the Viewable By dropdown. 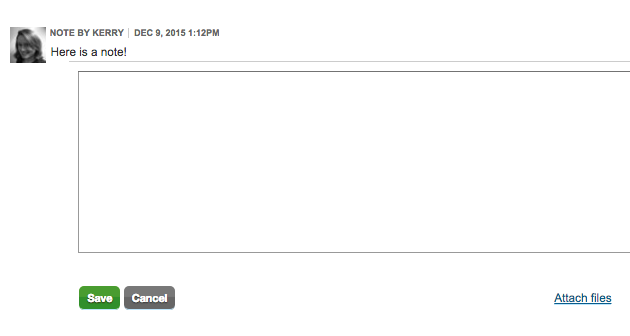 You can also see Notes created by others and reply to those Notes. 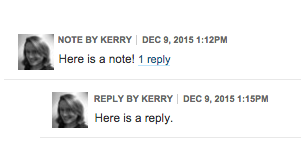 When you hover over a note, a reply button appears. Create a new report. See that Notes are one of the standard fields. 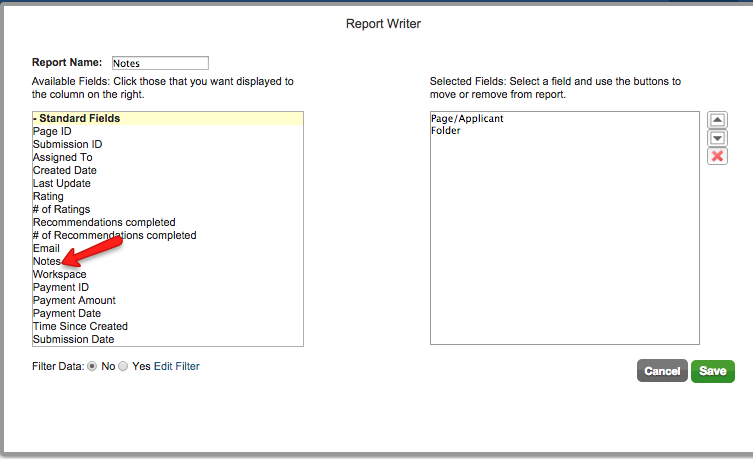 Pull that standard field into your report, as well as any other fields you may need, and click save. Note that only the notes added via the Data tab are here; not the notes/comments/replies added through the Activity Stream.